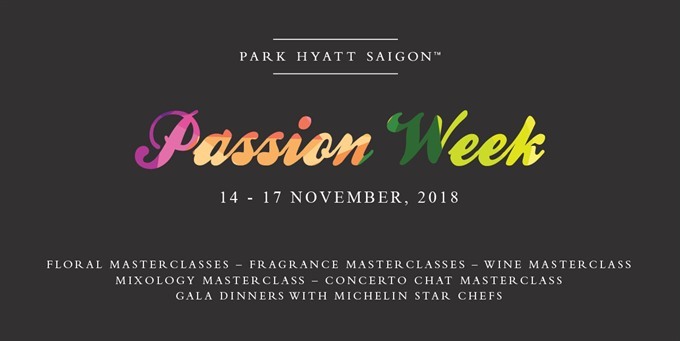 Passion Week event will be held from November 14 to 17 at Park Hyatt Saigon at 2 Lam Sơn Square in HCM City’s District 1. 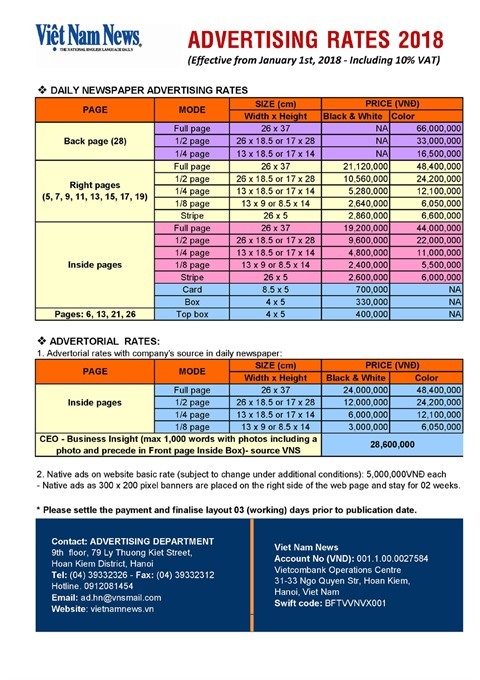 HCM CITY — The Passion Week event will be held from November 14 to 17 at Park Hyatt Saigon at 2 Lam Sơn Square in HCM City’s District 1. For the first time, Passion Week will gather renowned artists from various fields to share their passion for contemporary art and cuisine. Passion Week will take guests through a series of activities including exciting master classes by skilled artists and gala wine dinners by Michelin-starred chefs. It also will host exclusive workshops in which participants can learn consummate skills from internationally prominent masters in art, food and wine. There will be a Floral Design Master Class, Fragrance Master Class, Art in Fashion Luncheon, Wine Master Class, Mixology Master Class and Concerto Chat Master Class. Every evening, Passion Week will introduce four gala wine dinners, all created and catered by Michelin starred chefs. Every night, guests are invited to a cocktail reception where they will get to know the distinguished chefs, watch them create exquisite dishes through an open kitchen, and share memorable stories with them during the dinner.